In preparation for the relief distribution from December 14 to 16, Tzu Chi volunteers have already started conducting relief stub distributions to residents in more than 100 barangays of Tacloban City. Volunteers have been divided into groups to take on different tasks. One was to visit each barangays and the other was to personally hand the stubs to prospective beneficiaries. Tacloban City was one of the hardest-hit areas by super typhoon Yolanda (Haiyan) in early November. Many of the residents have lost their homes, properties, and livelihood to one of the strongest typhoons to hit the country. “We will try our best to include all of the barangays in Tacloban City and provide help to our fellowmen. We understand that they have suffered a great deal in the calamity’s aftermath,” says Tzu Chi volunteer Michael Siao, one of the organizers of the stub distribution activity. The foundation aims to extend the help to the affected families in the city. 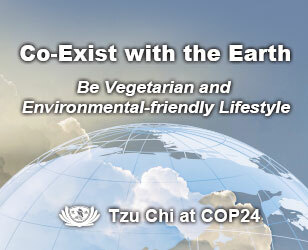 The activity has the guidance of Tzu Chi founder Master Cheng Yen. Aside from this, Tzu Chi Foundation has already implemented a cash-for-work program from November 20 to December 8 that has gathered around 300,000 man-days in Tacloban City. The program helped in liberating communities from piles of garbage while providing a temporary source of livelihood to residents. They are given P500 a day to do clean-up work. This help was attested by cash-for-work participant Seguya. 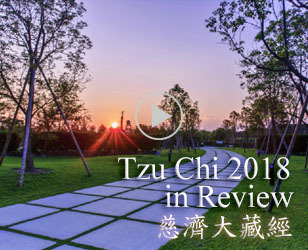 “We were given hope by Tzu Chi during times when we almost lost everything. I was able to provide for my children’s needs through the money that I’ve earned,” related by the single-parent. On December 12, Seguya went to San Jose Elementary School and was not expecting to receive a claim stub for her family. 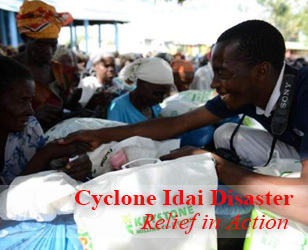 She will obtain the relief items at the distribution activity happening on December 15. “This is a big Christmas gift given to us by Tzu Chi. I’m so happy that they were able to come here,” she happily said. In helping victims to overcome this disaster, Tzu Chi volunteers from all over the world have campaign to “Raise Hearts and Love”. Forty-four countries and regions including South Africa, Mozambique, Haiti, the United States, Malaysia and others have fundraised in wintery or sun-scorching streets. Regardless of rich or poor, people are helping Haiyan typhoon victims to rebuild their lives. Besides Tacloban, Tzu Chi also distributed aid and emergency relief fund, and provided medical services in Ormoc,Tunga and Dulag.
" The expressions on our face and the tone of our voice all communicate to others. So smile and speak softly; preserve a gentle attitude. "